I’m currently sitting on everything I could ever need. I have a Jeep – almost paid for – that I guarantee you I will drive until it falls apart. (Anyone who knows me personally can confirm this). I still wear 10-year-old jeans. My shoe of choice are Converse Chuck Taylors….think I have about 10 pair in varying states of wear and tear. They cost about 30 bucks a pair at the outlet. I’m lucky to have a decent job and live inside my means. 20 years ago, not so much. 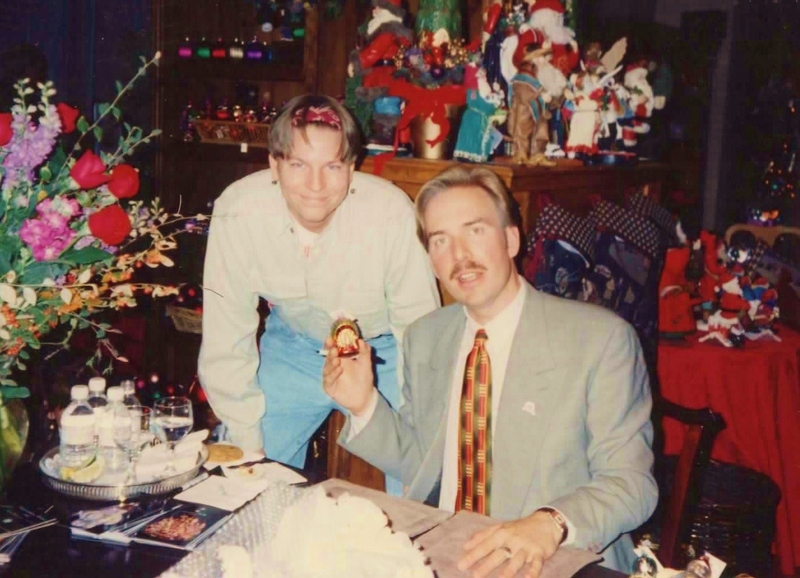 20 years ago, spending big bucks for a Christmas ornament was just outrageous. 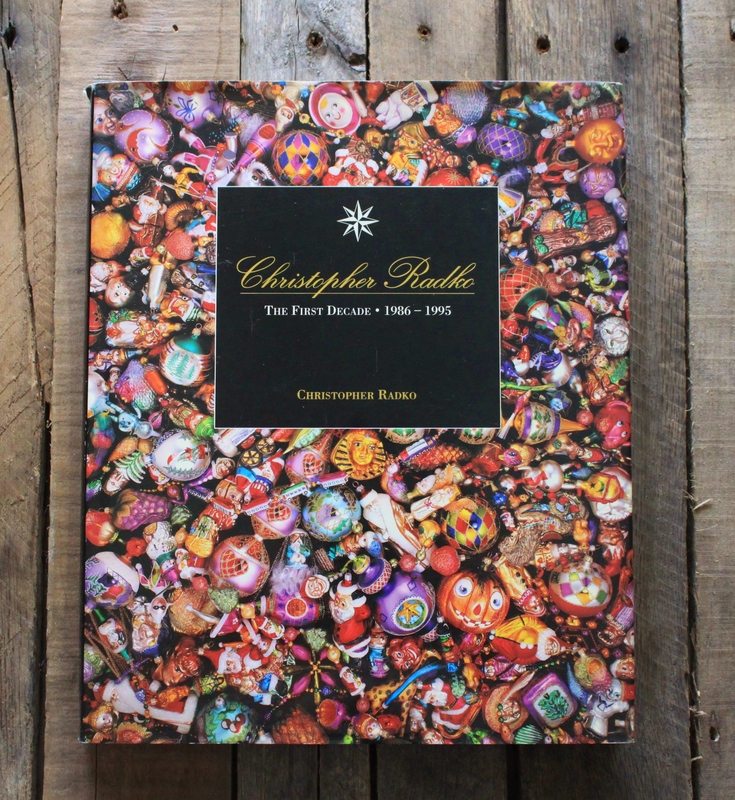 Christopher Radko was still new on the Christmas ornament scene then, and only the fanciest of stores sold his delicate hand-blown, hand-painted glass ornaments. It was at the very fanciest of all the fancy stores in Dallas, Neiman Marcus, that I first saw this guy. “Injun Joe”, from Tom Sawyer I assumed. 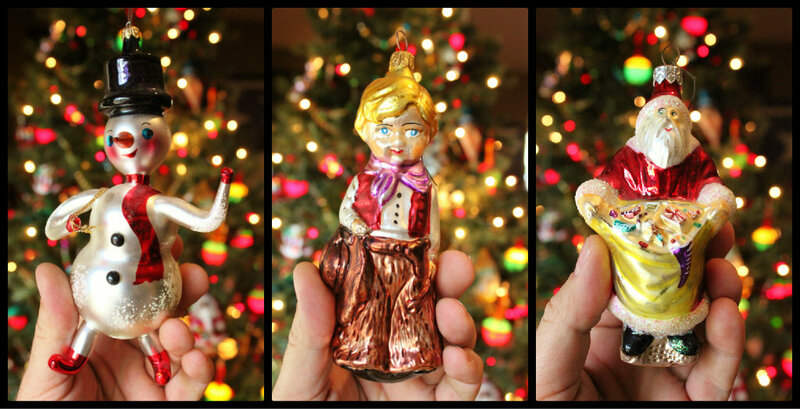 He was created in a vintage mold that hadn’t been used in about 50 years until Mr. Radko revived the Eastern European tradition of hand-crafted glass ornaments. Each one takes about a week to make. “..and his price?” you ask. Might as well have been 2,000 dollars, because I didn’t have that kind of money to spend on a 3 inch glass ornament. Enter my dear friend Lenny, the minute he saw this ornament, he could think of only one person who would truly appreciate it…..me. Of course I would, it was everything that I love – Christmas, Indians, Neiman Marcus – all wrapped up in one fragile little item. The very next December, at Neiman Marcus of course, I met with this man – Christopher Radko – and he signed my Indian. My very first Radko glass ornament. And so the dice were cast……..
For those of you that don’t know, the Radko company started with a crash. The new tree stand that young Christopher Radko had bought for his family’s Christmas tree snapped under the weight of the decades worth of heirloom blown glass ornaments and sent the collection to the ground. Young Mr. Radko immediately started an attempt to replace his family’s cherished collection, only to find that “new” ornaments were mostly cheap and plastic. On a personal holiday in Poland, he found some blown glass bottles in a shop, and asked if it were possible for the artisans to also make glass ornaments, like the ones his family had lost. It was, and he brought a handful back to the U.S. But they never made it to his family tree. They were immediately snatched up by his fiends who were looking for the same link to their Christmas’s past. ……..and so a brand was born. The 10 year anniversary in 1995 saw the debut of the Radko collection in a table top book. Now, I know which ones I’m still missing. 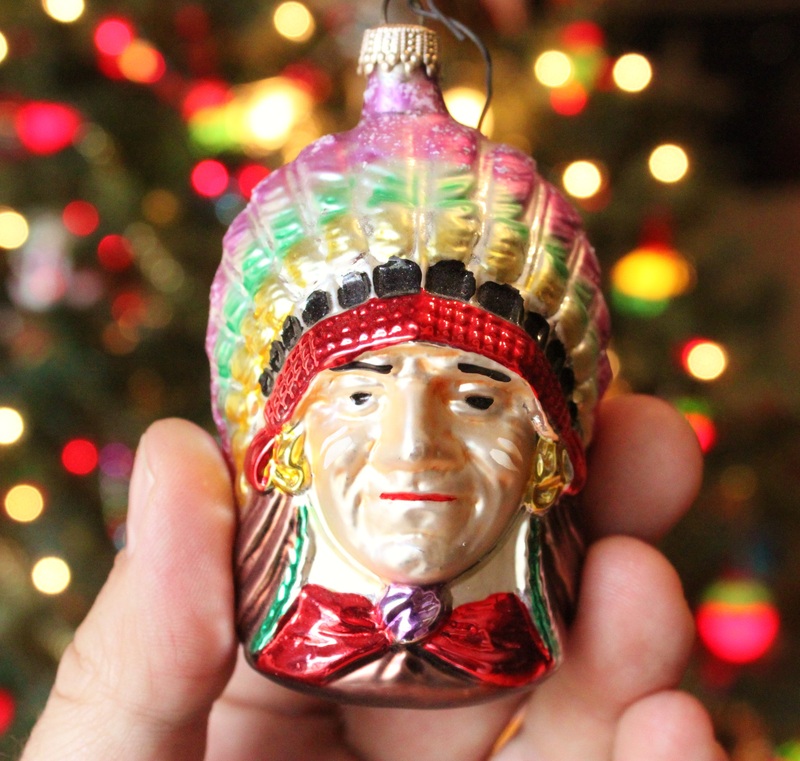 Little did Lenny know, or Mr. Radko, or myself for that matter, that that little indian ornament would snowball into an almost 20 year collection of Radko ornaments. I have so many now that the tree is almost completely covered. I just hate to see any bare spots. I mostly find them online. The ones from the mid 90’s are my favorites and pretty reasonably priced on eBay. Sometimes, I pick up a newer one that really calls to me in a store. But most of them are gifts from family and friends. And my friend Lenny, yeah, he’s given me quite a few more over the years. ……not too many bare spots left. I just hate to see any green on a Christmas tree. …and the Indian that started it all? He’s right there near the top. So I can see him from the couch……. We need a bigger tree, is what we need Ann, The next house will have plenty of room for a giant Christmas tree. Now THAT is how a Christmas tree should be decorated! It looks like the ones in the Christmas storybooks. I have ALWAYS loved your tree since the first time you posted it. LOVE! LOVE! LOVE! 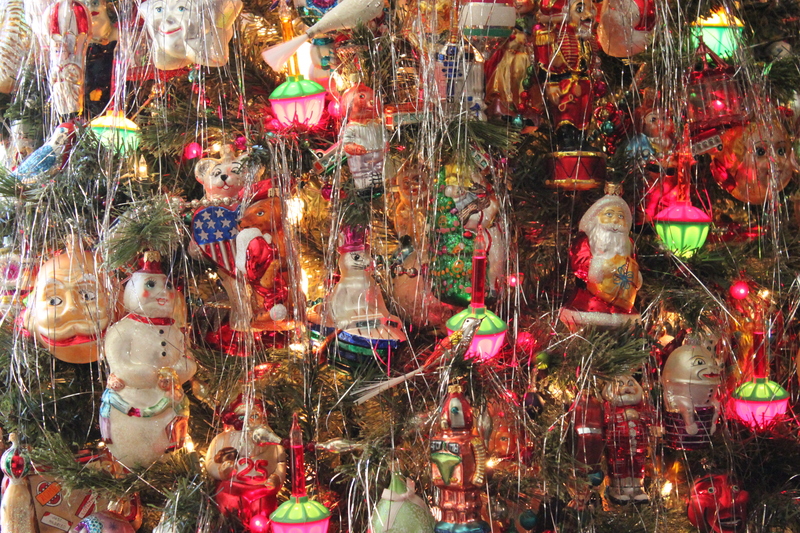 How many ornaments would you estimate you have on the tree? 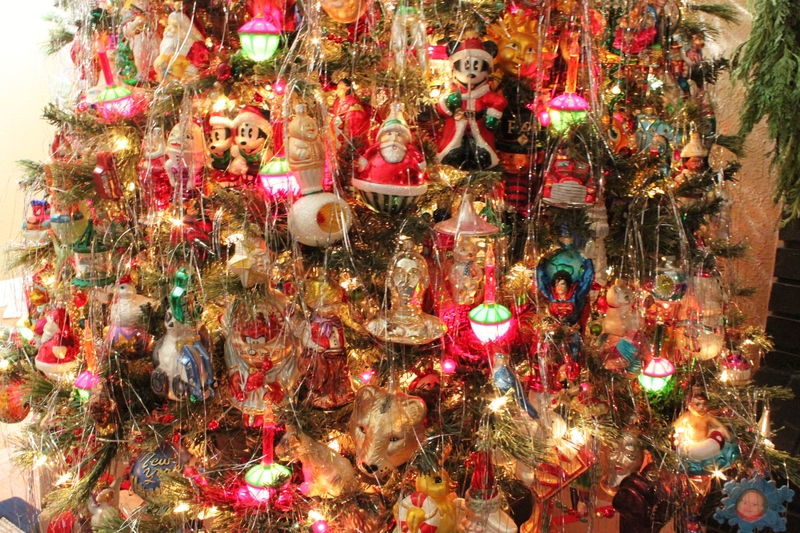 Holy Mother of Ornaments….now THAT’S a collection! 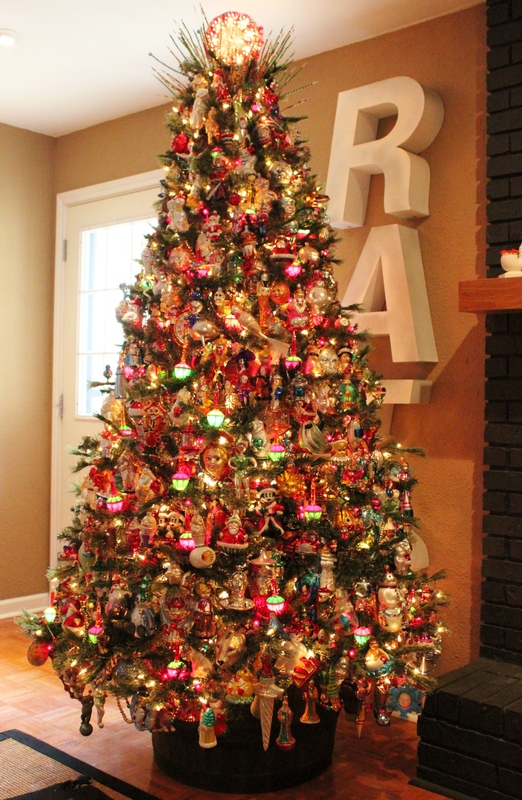 This tree is one of the best trees I’ve ever seen…and I love the addition of tinsel. I use it on one of my trees, too…it’s a nice finishing touch. This is how a tree should be decorated. I love it! So beautiful James, I like the ornaments even more because they are connected with Poland. 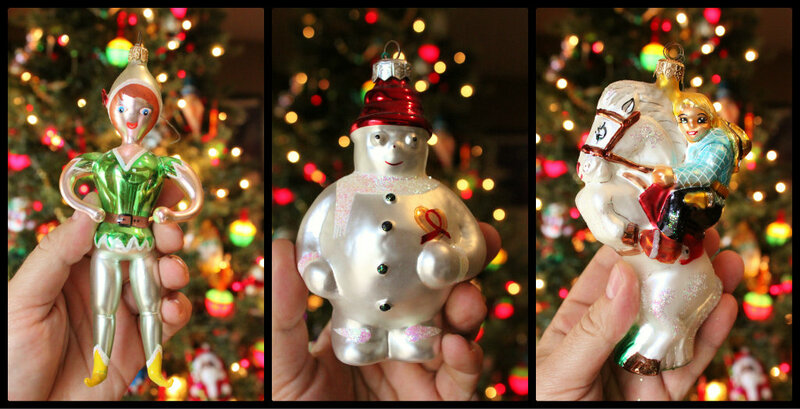 Ornaments with enormous character which makes an incredible tree. Love the tree and the wreath. Have a wonderful meaningful Christmas guys! What a beautiful “Old School” style tree, brings back lots of memories of Christmases past. By the way, awesome collection of Radko’s. I am Lithuanian so this tree is very close to my heart. That’s how my grandmother would have it. I mean that as a complement. Absolutely love it! a nostalgic touch. Well done! What a beautiful tree. I could just sit and look at that tree all day long. Love the tinsel. What a great touch. Have a wonderful Christmas! Beautiful tree! 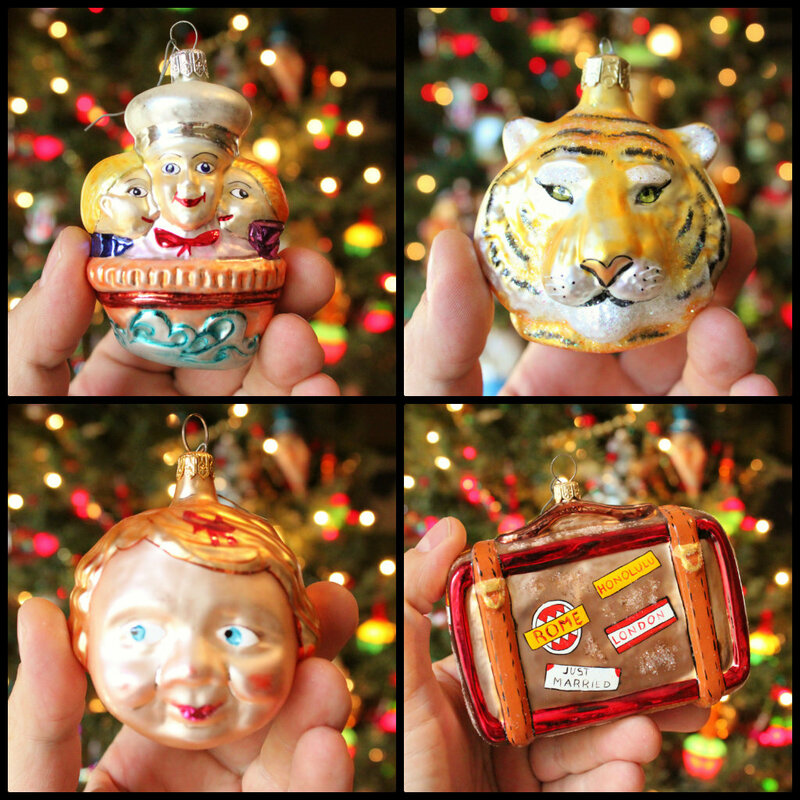 You and I have several of the same ornaments! I have the Indian, the suitcase (Bon Voyage, I believe is the name)the tiger, both snowmen you featured. Do you have Will Rogers? My first Radko was a simple Geisha girl. The best thing I ever did was get a rotating Christmas stand. Now I can see them all and I love it!